Joe E. Holman is a former Church of Christ minister of nine years whose first claim to Z-list celebrity status was having defected from his faith to become an atheist after years of preaching for four different fundamentalist churches in Texas. His second was having lost 173 lbs in 11 months by eating once a day. As a newspaper columnist, editor, and English Major, Joe briefly owned and operated his own editing/writing company in the early 2000s before it went the way of the economy. Joe is a graduate of Austin's Southwest Biblical Institute ('97) and is the author of two books, the now out-of-print Laws for Living: An Assortment of Facts, Tips, Truths, and Observations from Everyday Life (2002) and his more current book Project Bible Truth: A Minister Turns Atheist and Tells All (2008). Divorced since 2005, Joe dedicates most of his time to another career by day, as well as to journalistic/freelance writing endeavors and helping others reclaim their health, but the rest of the time to his long-time passion of movie reviewing. 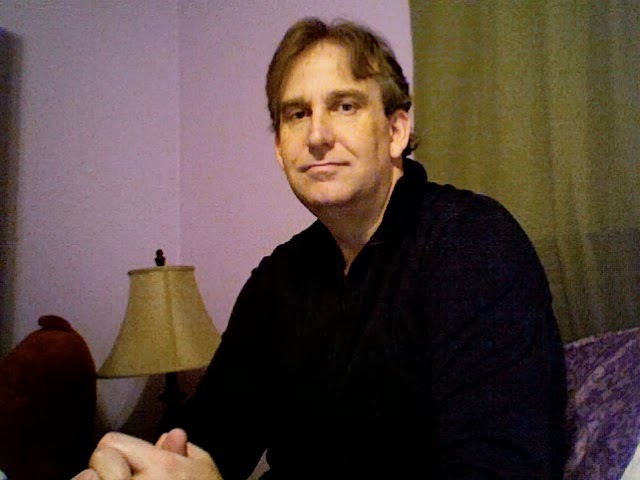 In 2008, Joe founded Holman’s Movie Review.com to make his years of experience as an English major, a freelance business writer, and ghostwriter available on the internet. From being a behind-the-scenes talent in creating various How-tos and film reviews, Joe continues to subject others to his written whims. Since then, he has developed a decent readership with this, his current site. Who would have thought that so many years in the early 1990s watching Mystery Science Theatre 3000 would help prime him for a film-obsessed future? Joe continues - to this very day - expanding his articulate and creative platform for heralding the cynically-charged and sometimes demented diatribes on big and low-budget films that pass as reviews. Joe is like a cross between the late Roger Ebert, Michael Medved, and the late Pauline Kael; that is, Joe appreciates and excels at literary excellence while angrily leaning a little bit politically to the right, but with an insatiable gift for being inappropriately descriptive. Joe happens also to believe that combining buttery movie popcorn with Mr. Pibb in every theater should be in the Constitution somewhere. Joe reviews a hundred or so movies per year (give or take), including DVD releases and independent films, and privately-funded ghostwriting endeavors. Joe centers, not just on constructive elements like film criticism, but on skepticism as it relates to works of the big screen. Analytical or angry, sarcastic or skeptical, the featured attractions of Joe's writing style waxes and wanes in morphing uniqueness, resulting in an unusual-but-uncanny clarity.